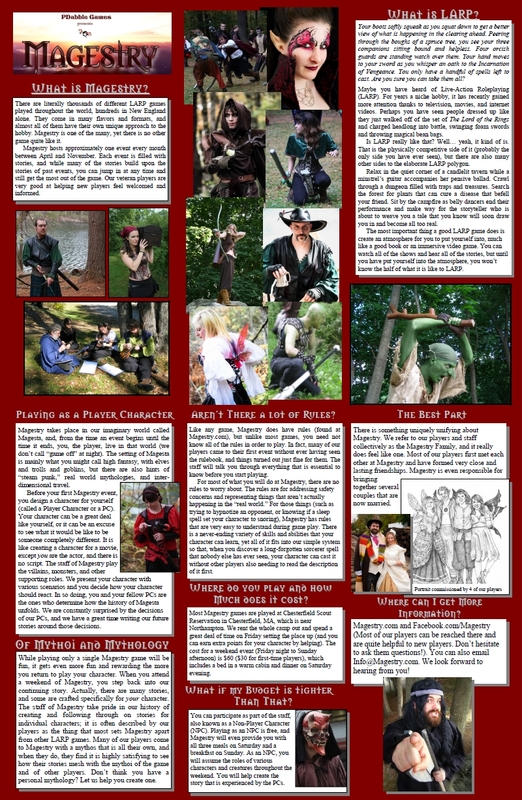 Welcome to Magestry Live Action Roleplaying, where you become the hero! Don’t just read about interesting characters or stare at them on a computer screen. Pick up your sword and your spellbook and be that character. Experience a game with a rich, full storyline and a very simple yet endlessly versatile rule system. Bring your own story into the fold; there is always room for more! See more at Magestry.com!